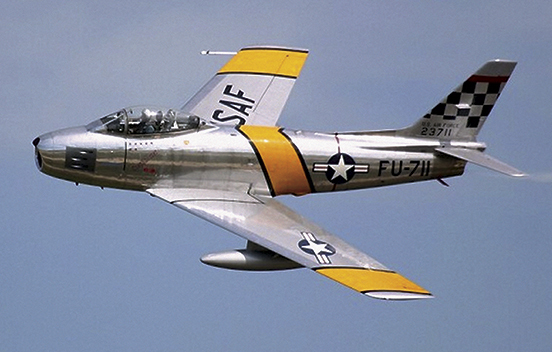 The North American F-86 Sabre Jet (sometimes called the Sabrejet) was a transonic jet fighter aircraft. 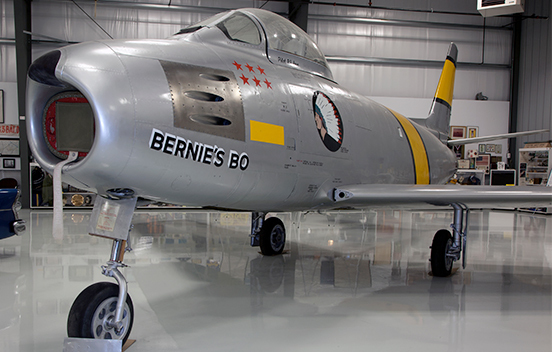 Produced by North American Aviation, the Sabre is best known as America’s first swept wing fighter which could counter the similarly-winged Soviet MiG-15 in high speed dogfights over the skies of the Korean War. 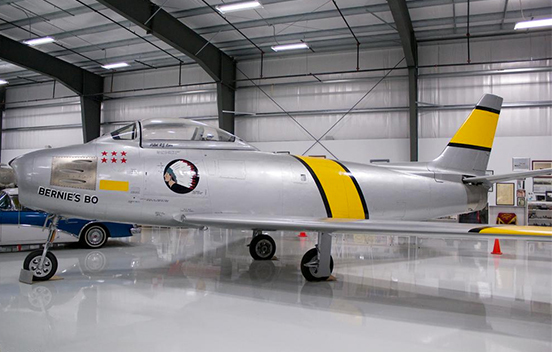 Considered one of the best and most important fighter aircraft in the Korean War, the F-86 is also rated highly in comparison with fighters of other eras. Although it was developed in the late 1940s and was outdated by the end of the 1950s, the Sabre proved versatile and adaptable, and continued as a front-line fighter in numerous air forces until the last active operational examples were retired by the Bolivian Air Force in 1994. Painted in the markings of American Fighter Ace Capt. Robert J. Love of the 335th Fighter-Interceptor Squadron, 4th Fighter-Interceptor Group, FIFTH Air Force.